From the day she is discovered unconscious in a New England cemetery at the turn of the twentieth century—nothing but a bowling ball, a candlepin, and fifteen pounds of gold on her person—Bertha Truitt is an enigma to everyone in Salford, Massachusetts. She has no past to speak of, or at least none she is willing to reveal, and her mysterious origin scandalizes and intrigues the townspeople, as does her choice to marry and start a family with Leviticus Sprague, the doctor who revived her. But Bertha is plucky, tenacious, and entrepreneurial, and the bowling alley she opens quickly becomes Salford's most defining landmark—with Bertha its most notable resident. When Bertha dies in a freak accident, her past resurfaces in the form of a heretofore-unheard-of son, who arrives in Salford claiming he is heir apparent to Truitt Alleys. Soon it becomes clear that, even in her death, Bertha's defining spirit and the implications of her obfuscations live on, infecting and affecting future generations through inheritance battles, murky paternities, and hidden wills. In a voice laced with insight and her signature sharp humor, Elizabeth McCracken has written an epic family saga set against the backdrop of twentieth-century America. 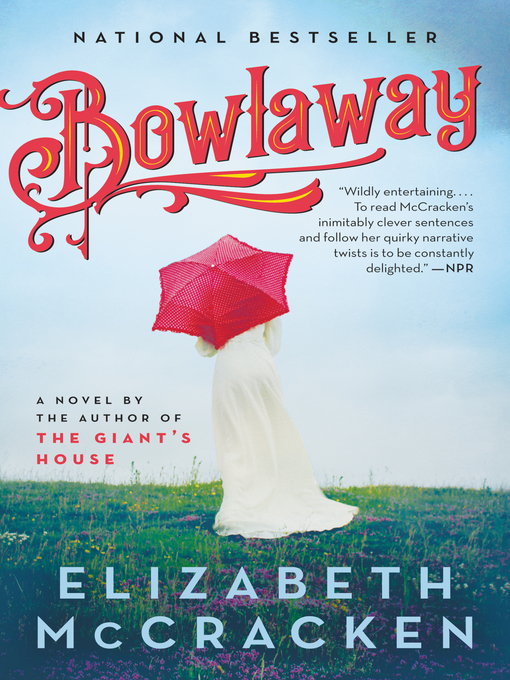 Bowlaway is both a stunning feat of language and a brilliant unraveling of a family's myths and secrets, its passions and betrayals, and the ties that bind and the rifts that divide.